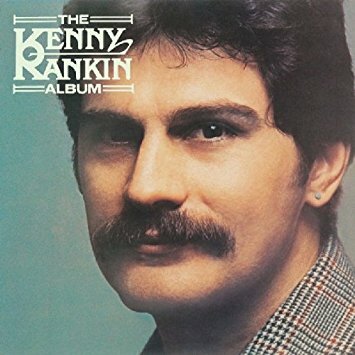 Jazz singer Kenny Rankin had most of his success in the 70s when he became very close friends with comedian George Carlin. Rankin sang, played guitar and piano and recorded a mix of original songs, jazz standards and contemporary songs. He was born Feb. 10, 1940 in Los Angeles but he grew up in the Washington Heights area of New York City. He recorded singles for Decca in the late 50s and then for Columbia in the 60s. He also wrote songs for Peggy Lee and Ricky Nelson and others. He finally released the 1967 album Mind Dusters on Mercury. Rankin appeared on The Tonight Show and Johnny Carson really liked him. He not only got him the deal with Mercury but Carson wrote the liner notes for Mind Dusters. After two unsuccessful albums for Mercury, Rankin became very good friends with George Carlin. Carlin recorded for Flip Wilson's label Little David with Atlantic distribution. Rankin recorded several albums in the 70s for Little David including The Kenny Rankin Album in 1975. His producer on most of those albums was Michael Stewart, a member of the 60s group We Five who turned to producing after they split up. But this album was produced by legendary big band producer Don Costa which is probably why it has a jazz vibe. Musicians included Wendy Haas of Azteca on keyboards, Peter Marshall on bass and Roy McCurdy on drums. Both guys toured with Rankin. McCurdy is from Rochester and he started out with the Mangione brothers. When Sunny Gets Blue was written by Marvin Fisher and Jack Segal and it was the B side of the Johnny Mathis hit Wonderful Wonderful. Nat King Cole also recorded it. It's a popular song with jazz singers. As I said, Rankin toured a lot with Carlin and that led to cocaine addiction. Carlin bought Little David in 1978 and then closed it to start a new label in 1980. Rankin didn't record much in the 80s. But in the 90s he recorded for Chesky, Private Music and later Verve. Rankin sang at Carlin's 2008 memorial service. Rankin was working on new music for Mack Avenue when he died of lung cancer on June 7, 2009 at age 69. Here's Kenny Rankin performing When Sunny Gets Blue on The Jazz Channel Presents 2001.